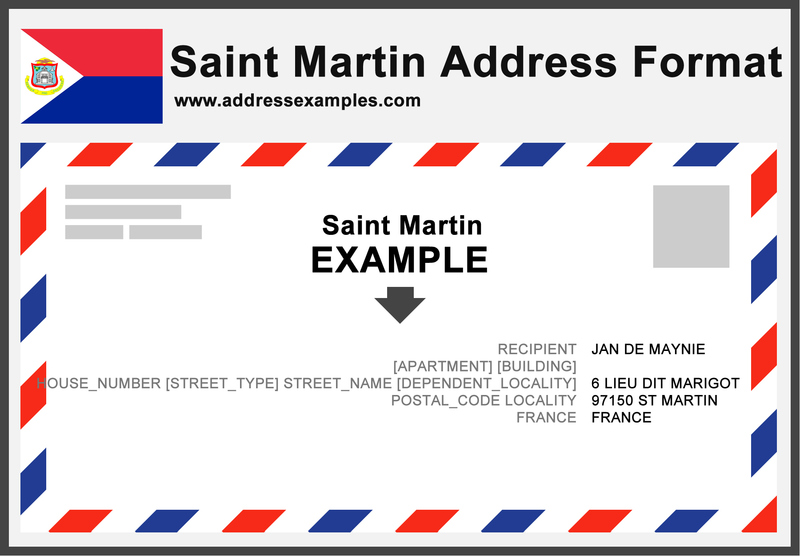 The image above is in a Saint Martin Address Format. Copyright © 2016. AddressExamples.com All Rights Reserved. Unauthorized duplication or publication is prohibited.